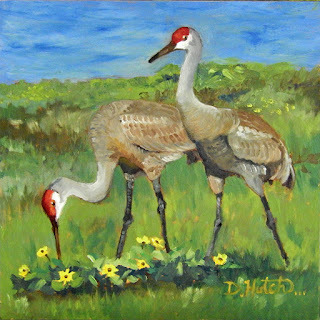 These are Sandhill Cranes. I was visiting my brother (he lives on the Indian River in So. Florida) This pair of cranes were strolling by. Did you know that they mate for life?